This card can target anyone with cards in their hand. The target must then play an attack. 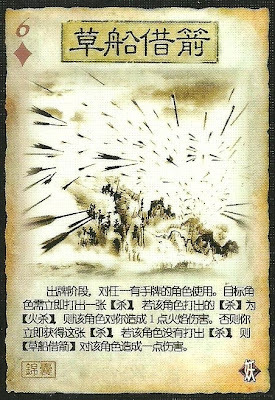 If the attack is a fire attack, then the original player takes one fire damage. If the attack is not a fire attack, then the attack is put into the original player's hand. If the target does not play an attack, they are damaged one. The target can choose to not play an attack, but then they will suffer damage. If a fire attack is used, it does not go into the original player's hand.